ISTOCK, NARONGCPGlyphosate, the active ingredient in the world’s most widely used herbicide, Roundup, is arguably also one of the most contentious. Mass protests erupted in Europe last November after the European Commission, following much discussion, granted a five-year extension for the license to use glyphosate in agriculture in the E.U. Farmers have relied upon glyphosate-based herbicides to kill unwanted vegetation for more than four decades, but its use sparked hefty debate in 2015, when the World Health Organization’s International Agency for Research on Cancer (IARC) concluded that it was “probably carcinogenic,” adding it to a category that also contains red meat, for instance. This followed previous conclusions by research agencies such as the European Food Safety Authority (EFSA) and the U.S. Environmental Protection Agency (EPA) that glyphosate is unlikely to pose a cancer risk to humans. So where does the science actually stand? With an estimated 6.1 billion kilograms applied worldwide over the last decade, understanding its risk to farmworkers, consumers, and the environment is paramount. Danio rerio in the labRILEY BRANDT, UNIVERSITY OF CALGARYGlyphosate is a small compound that has been sold as the active ingredient in herbicide formulations since 1974. It is marketed as having no effect in animals because it is designed to specifically inhibit an enzymatic pathway required for protein synthesis—and thereby, growth—unique to plants. Over the years, regulatory agencies have evaluated its potential effects on non-target organisms. However, recent assessments seem to be focused on carcinogenicity and genotoxicity of glyphosate, notes Deborah Kurrasch, a neuroscientist at the University of Calgary. Within the past decade, she says, evidence started to accumulate in the scientific literature that it might have other toxic effects. “There’s a lot of systems beside cancer” that can be affected, she says. Kurrasch, whose research is funded by the Natural Sciences and Engineering Research Council of Canada, began to look into glyphosate several years ago, and was surprised by how few studies there were in the literature. “There was very little for a chemical that we’re all exposed to,” she recounts, adding that there is still little known about its mechanism of action in model systems. Some evidence suggests that it has an effect on mitochondrial function. 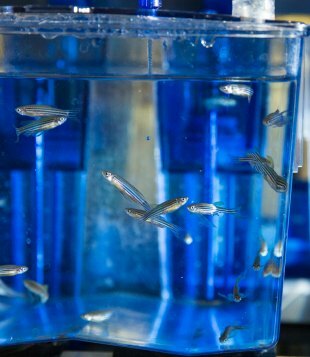 In an experiment a few years ago, Kurrasch and her colleagues exposed zebrafish embryos to relatively low concentrations of glyphosate during specific windows of development. 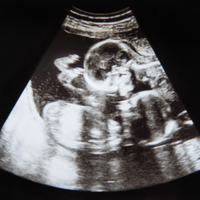 This appeared to alter mitochondrial function and cause a related decrease in basal respiration, which in turn impaired the locomotion of larvae. Other researchers stress that the immediate toxicity of glyphosate is likely very low at most environmental concentrations, in contrast to the whole pesticide formulation it is usually used in. An 8th-generation farmer herself, Fitsanakis started to become interested in the documented link from epidemiological studies between pesticide exposure and the risk of developing some neurodegenerative diseases, such as Parkinson’s and Alzheimer’s disease. What concerns Fitsanakis, whose work is funded by the National Institutes of Health, are the findings of previous studies that the commercially available product is much more toxic to cells and animals in the lab than glyphosate alone. “The data are overwhelmingly in agreement that glyphosate by itself is relatively nontoxic,” she says. Instead of trying to tease out which of the chemicals in the mixture are doing what, Fitsanakis has decided to look at the effects of glyphosate-based herbicides in the formulations farmers use. Her experiments involve soaking nematode worms, C. elegans, in Touchdown—in concentrations used by pesticide applicators—as a model to understand what effect the product could have on the nervous system of animals. An 8th-generation farmer herself, Fitsanakis started to become interested in the documented link from epidemiological studies between pesticide exposure and the risk of developing some neurodegenerative diseases, such as Parkinson’s and Alzheimer’s disease. Because neurodegenerative diseases feature oxidative stress as well as mitochondrial inhibition in neurons, and glyphosate-containing herbicides can have this effect on cells, Fitsanakis wanted to see if the two are linked, and whether pesticide exposure can increase the risk for developing such diseases. 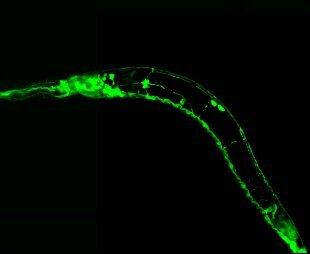 In a study published this January, she found that in C. elegans worms, exposure to Touchdown could increase the activity of specific reactive oxygen species—which cause oxidative stress—and also mitochondrial inhibition. The worms also showed neurodegeneration in both dopaminergic and GABAergic neurons. This was at concentrations at which occupational agricultural and pesticide workers would routinely be exposed to, Fitsanakis says. This doesn’t mean that exposure to glyphosate-based compounds will cause neurodegenerative disease, she cautions. They may be one of many risk factors that predispose people to developing sporadic forms of Parkinson’s disease in later life. William Reeves, Chemistry Safety and Outreach Lead at Monsanto, is not surprised about the results of such studies. 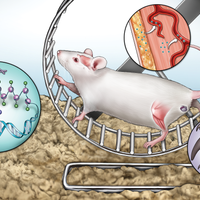 The surfactants used in Roundup are similar to those used in regular household products, he explains, which cause membrane degradation and subsequent mitochondrial breakdown in high doses. “You would see the same thing with dish detergent, you would see it with hand soap,” he tells The Scientist. He says that concentrations of glyphosate and Roundup generally applied in previous studies greatly exceeded those that would be normally found in real-world environments. In particular, studies where whole animals or cells are submerged in herbicide solutions aren’t reflective of real-world situations, he notes, as the herbicide is not being used according to instructions. For instance, the label directs pesticide applicators to use chemical-resistant gloves and protective eyewear when applying Roundup, and to not apply the formulation directly to water. 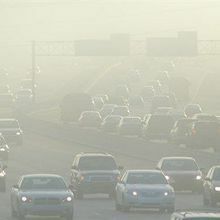 Researchers are not only concerned about the immediate consequences of improper use of the chemicals by applicators, but also about potential effects caused by chronic exposure to applicators or animals—via the skin or through inhalation, for instance—as well as what happens when they accumulate in the environment. “[Glyphosate] doesn’t create a completely poor functioning brain, or have major effects on brain development,” says Kurrasch. 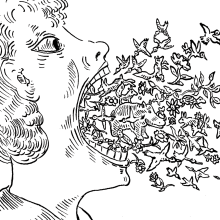 “The effects are going to be subtle and accumulative over years of exposure. And it’s going to be tricky to convince regulatory bodies that there’s a problem, if that’s the case,” she says. Daphnia magna, showing fluorescently labelled food it has consumedPETER ROSLEVTo makes matters more complicated, there are many different commercial formulations, which can differ by company, country of purchase, agricultural use or home use, or even by the batch. Herbicide makers also seem to change their formulations, according to Peter Roslev, an environmental toxicologist from Denmark’s Aarborg University. In his recent studies on the effects of glyphosate on aquatic environments, funded by the university, “we did not see the same difference between the commercial product and the pure chemical, compared to older studies,” he says. What concerns Roslev about glyphosate is its effect on a small yet important organism, the water flea Daphnia magna. When exposed to glyphosate alone, the swimming behavior of Daphnia will change, becoming slower. The effect is subtle at low doses, but “at higher concentrations, they stop [swimming] in the water,” says Roslev. 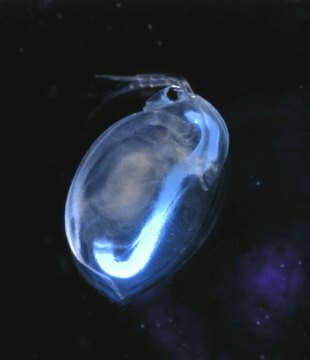 If altered behavior makes the animals more or less vulnerable to predation, the effects could cascade through the ecosystem as many other life forms live off Daphnia. “It will affect the food chain that they are part of,” he says, although he hasn’t yet tested this in field experiments. Epidemiological studies in humans do show some weak links between glyphosate exposure and subtypes of non-Hodgkin’s lymphoma, which played a big role in the IARC’s decision. But an analysis last year drawing on data from the Agricultural Health Study, which included some 90,000 farmworkers and their spouses in Iowa and North Carolina over nearly two decades, showed no significant association between glyphosate and non-Hodgkin’s lymphoma, nor with overall cancer risk (although it did show a weak association with acute myeloid leukemia). One of the reasons why glyphosate is thought to be safe for humans is that, as a molecule, it’s not soluble in fat, “and thus will not accumulate in our bodies very easily,” Kurrasch adds in an email. A recent EPA assessment of human health risks determined that glyphosate does not bio-accumulate after oral exposure. Fitsanakis adds that based on the data she has seen, “the amount that we could be ingesting with food is relatively small,” especially considering that the majority of glyphosate is used on field crops that we don’t eat directly, she explains. Farmworkers’ occupational exposure to the pesticide, and the adjuvants it is used with, is what concerns her most. Although companies aren’t required to publicly disclose the full compositions of their pesticide formulations, they must submit toxicity studies on the whole formulation, as well as its entire composition, to national authorities in order to get a product approved for market. History shows that on occasion, some authorities have seen the need to re-evaluate certain additives. 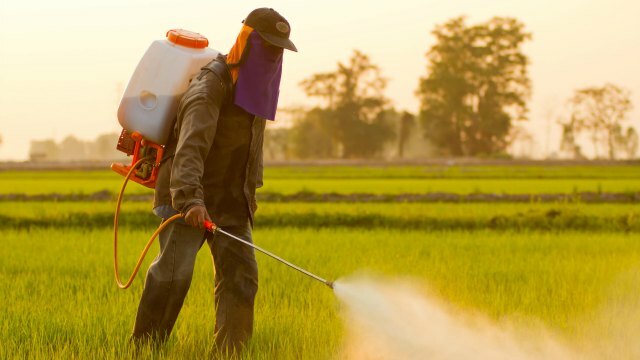 For instance, Germany’s authorities found in 2015 that the surfactant polyethoxylated tallowamine (POE tallowamine) contributed a large amount of toxicity to the herbicides it was used in, such as Roundup. This led to an EU-wide reassessment by the EFSA, which concluded that “a likely explanation for the poisoning occurrences observed in humans is that it is mostly driven by the POE-tallowamine component of the formulation.” The E.U. subsequently decided to ban the use of the co-formulant. Its use is allowed in the U.S.
“If there was a very obvious acute toxicity to . . . non-target organisms, one would think that that had been discovered by now,” says Roslev. “But you can only detect the effects that you are looking for, and that seems to be the history with many of these chemicals. There’s always an unexpected effect that nobody thought about, that this compound used for this purpose actually has this side effect,” he adds.